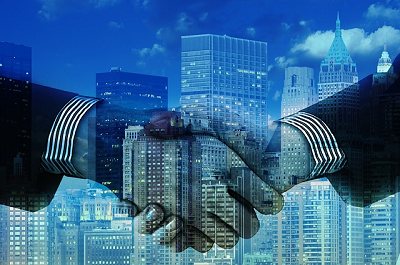 Enterprise communications industry consolidation continues, as earlier this week Videxio and Pexip, both privately held, announced their intention to merge. The merger will bring two high-growth companies together. According to a joint press release, Videxio, which provides cloud video collaboration solutions, was founded in 2011, became profitable in 2014, has grown annual recurring revenue (ARR) by more than 270% over the past three years, and has increased paid user traffic by more than 875% in the same period. Pexip, which provides software-based meeting platform and interoperability solutions, was founded in 2012, became profitable in 2016, and has nearly tripled ARR over the past three years. The companies expect the merger to close by year's end, following regulatory and shareholder approval. Upon finalization, the combined company will operate under the Pexip name. Pexip CEO Odd Sverre Østlie will retain his role, while Videxio CEO Tom-Erik Lia will take on the new role of chief commercial officer. The combined company will have more than 300 global partners and customers in more than 195 countries, the companies stated. Multiple video conferencing vendors are building Microsoft Skype for Business, or BlueJeans, or Pexip, or Zoom interfaces into their endpoint and infrastructure hardware. Google Hangouts (or Skype for Business for that matter), for example, is no longer a competitor. It's just another endpoint on a call thanks to likes of Pexip and Videxio. At Microsoft's recent Ignite user conference, Pexip also showed off its new Cloud Video Interoperability solution for Microsoft Teams. The merger builds on a technology partnership the companies have had for more than five years, Videxio's Lia told me via email. "... this merger will strengthen our ability to work smarter and faster together on a number of levels," he wrote. "It also affords all of our mutual customers new options to address their collaboration challenges."